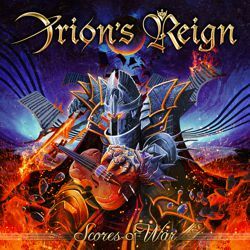 Orion's Reign are back with their second full-length studio album, "Scores of War", set for an October 19th release by Pride & Joy Music. The record is extremely diversified and contains much to explore, from Symphonic Speed Metal to catchy (Hard) Rock sounds, as well as operatic refrains filigreeing rich emotionality. The single "The Undefeated Gaul" is the first appetizer of the album, with fast riffs, heavy rhythm section and furious guitar solos! Stay tuned for more single releases!